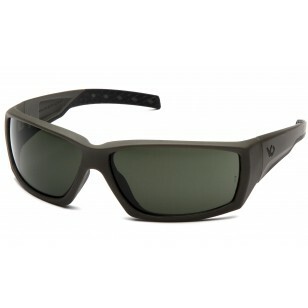 Venture Gear Tactical - Overwatch - OD Green Frame/Smoke Green Anti-Fog Lens - Sunglasses style with metal hinge. Soft nosepiece and rubber temple tips provide comfort for all-day use. Anti-fog, scratch resistant polycarbonate lens provides 99% UVA/B/C protection. Passes MIL-PRF 32432 High Velocity Impact Standards.